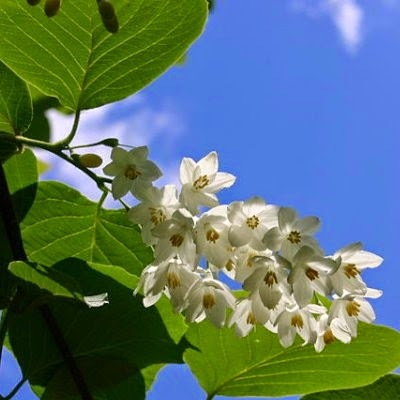 Benzoin (Styrax benzoin) is known as other names: Baume Benjoin, Benjoin de Sumatra, Benjoin, Benjuí, Benzoe, Benzoïne, Gum Benjamin, Gum Benzoin, Loban, Lohban, Styrax benzoin, Styrax paralleloneurum, Sumatra Benzoin. Benzoin is a shrubby deciduous tree, belonging to the Styraceae family. A common tree in Sumatra growing upwards of 12 meters. 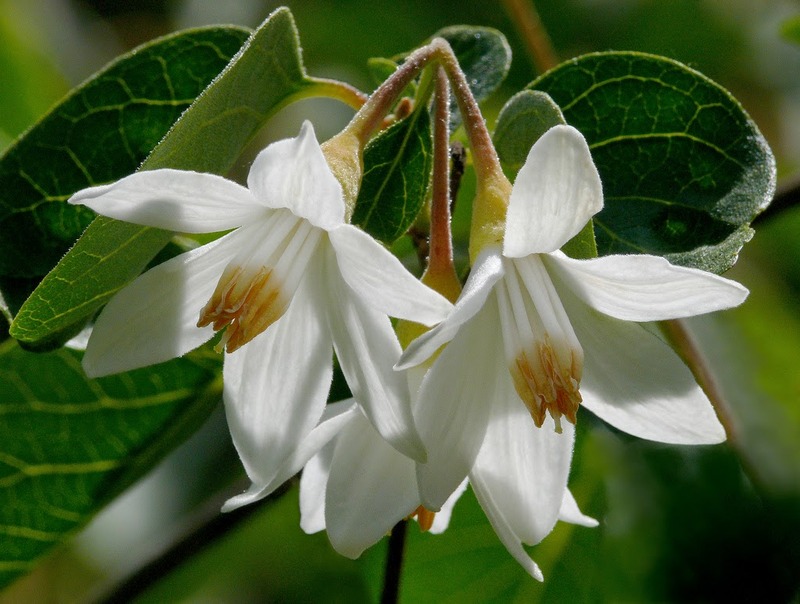 The Styrax Genus has over 130 species ranging from shrubs to small trees, one of which the benzoin belongs to. Possesses alternate, deciduous and/or evergreen simple ovate leaves 1-18 cm long and 2-10 cm broad with pendulous 5-10 lobed corolla flowers producing 3-30 on open or dense panicles 5-25 cm long, producing a oblong dry drupe fruit with smooth and/or lacking ribs or narrow wings. The tree has gray bark, simple leaves, and short racemes of small, fragrant, bell-shaped white flowers. Benzoin tree produces a yellowish, balsamic resin, called benzoin or gum benjamin. Normally the trees do not produce it or any substance analogous to it, but the infliction of a wound sufficiently severe to injure the cambium results in the formation of numerous oleoresin ducts in which the secretion is produced, it is, therefore, a pathological product. The trunk of the tree is hacked with an axe, and after a time the liquid Benzoin either accumulates beneath the bark or exudes from the incisions. When it has sufficiently hardened it is collected and exported, either in the form of loose pieces (tears) or in masses packed in oblong boxes or in tins; several varieties are known, but Siam and Sumatra Benzoins are the most important. The incisions are made when the tree is seven years old, and in Sumatra each tree yields about 3 lb. annually for ten or twelve years. The first three years' collections give the finest Benzoin; after that the runnings are known as the 'belly,' and finally the tree is cut down and the resin scraped out, this being termed the 'foot.' Siam Benzoin externally is reddish yellow, internally milky white, has an agreeable odour, recalling vanilla, contains benzoic acid but not cinnamic acid. Sumatra Benzoin is obtained from wounds on the Styrax benzoin species, and is always in blocks of a dull reddish or grayish-brown color. Fine qualities have a strong storax-like odor, marking a distinct difference from the sweet vanilla odor of the Siamese variety. Additionally, Sumatra Benzoin contains cinnamic acid. The earliest employment of benzoin can be traced to the pre-Christian Era, where it was traded as a valuable commodity, especially in the Middle East, and in Asiatic areas such as Java, Sumatra, and much of Indochina, although the resin itself became all the more popular well into the height of the Christian Epoch and the slow but steady rise of Islam - two major religions which were among the main precipitators and recipients of its trade. Prior to the adoption of its usage by both Islamic and Christian groups however, benzoin has long celebrated a use as a type of incense, and as a medicinal compound, with traditional Chinese Medicine and esotericism, Indochina esoteric practices, Japanese medicine and esotericism, and even Indian Ayurvedic practices having employed the resin as a fumigating agent and medicine, effectively creating a demand prior to, and well into the Christian Era, that benzoin was considered on par with (and often confused as) substances such as myrrh and frankincense. 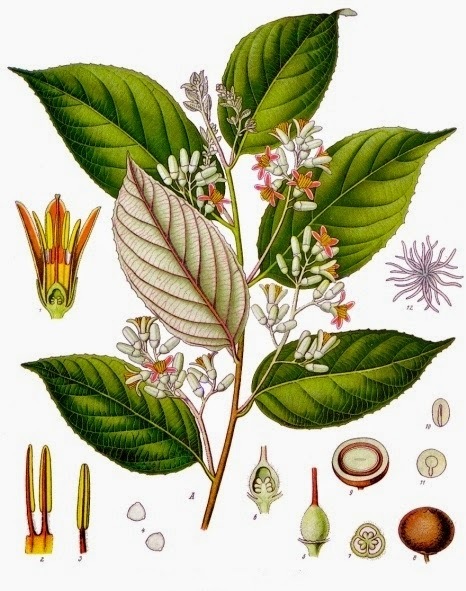 Prior to the Christian Era, the trade for benzoin was taken up by a number of peoples, the most well-known being the Javanese and the Sumatrans, who traded their local resins (Styrax tonkinensis [Siam benzoin], and Styrax benzoin [Sumatra benzoin]) with various items from China, Japan, and the Middle East. While the attributed origin of the plant is to this day undisputedly the Javanese or Sumatran territories of Indonesia and much of the areas which comprise Indochina, the leaders of the trade in benzoin were not to be the Javanese, but rather the Arabians who cultivated their own local species of styrax and later traded them throughout much of the western until well into the height of the Middle Ages and even well after the Renaissance, creating for the substance a strong demand, which was fed chiefly by its integral usage in two of the world's then major religions - Christianity in both its Catholic and Orthodox form, and Islam. Benzoin has relaxant and sedative properties. It also has tranquilizing effects. It relieves anxiety and stress, tension, eases nervous tension, uplifting, soothing, warming, helps to overcome depression and restore confidence, dispels anger, diminishes irritability, and clears the head. Actually it brings the nervous system and neurotic system to normal. Benzoin gives a feeling of mood-uplift in case of depression and relaxes and in case of anxiety and stress. These properties of Benzoin Gum Sumatra were detected since long time ago and been used to create a mood in gathering. Benzoin Gum Sumatra stimulates the production of gastric juices (carminative), helps digestion, calms the digestive tract and alleviates flatulence. It helps removal of gases from the stomach and the intestines and relieves inflation of intestines. Because of its relaxing effects, it relaxes the muscular tension in the abdominal area and help gases pass out. This helps digestion and improves appetite. Benzoin Gum Sumatra has a soothing, sedative effect on the respiratory tract, and behaves as a good expectorant. In the form of a tincture, benzoin is used as an inhalant with steam of water for the relief of tense breathing (tones the lungs), helps to expel mucus, used for flu, laryngitis, bronchitis, cough, and upper respiratory tract disorders. Benzoin Gum Sumatra warms and tones the heart, improves circulation, raises spirit and uplifts mood. It gives a warm feeling, stimulates heart beat and improves circulation. The molecules of Benzoin Oil, along with inhaled smoke, get into our nostrils and detected by the our smell buds and transmitted to our brain, thereby the effects then stimulating the our brain. Benzoin Gum Sumatra has astringent, antiseptic, reduces inflammation, help to stop bleeding properties. It is useful where there is redness, irritation, itching, and for cracked or dry skin. Helps to keep the skin supple and elastic, and tones up the muscles which all of these very helpful for face lifting and for reduction of wrinkles on the skin. With regular application it can soften scar tissue. It also tightens the gums when mixed with water and used as a mouthwash. Benzoin Gum Sumatra stimulates the production of urine (diuretic). It promotes and facilitates urination, in frequency and in quantity, thereby helping removal of toxic substances from the blood through urine. It is used to fight leucorrhoea and yeast infections. Urination also helps in lowering blood pressure, losing weight and improving digestion. Benzoin Gum Sumatra used for rheumatism, arthritis, gout. It eases muscle tension by reducing inflammation and detoxifying acids from the joints. Helps to relieve sore muscles and stiff joints after strenuous physical activity. These are the most used properties of Benzoin Gum Sumatra when applied externally, due to easy absorption of Benzyl components in it through the skin pores. Due to this, it is used in a number of anti arthritic balms. Benzoin is a powerful local antibiotic for treating variety of infections including multiple aerobic, anaerobic, and spore-forming bacteria, as well as Candida albicans and Mycobacterium fortuitism. It has been used as an antibiotic for superficial wound infections and has well-established uses in both allopathic and traditional forms of medicine. In tincture form, benzoin used in surgical specialties. It is use as a preoperative surgical preparation, because benzoin has an efficient and strong local skin antibiotic and could be used effectively prior to surgery. In incense form, the components like Benzaldehyde, Benzoic Acid and Benzyl Benzoate are very effective germicidal, bactericidal, fungicidal and anti viral properties. The extent to which its smoke spreads on burning will makes the zone disinfected from germs. It prevents from septic when externally applied on wounds and protects open wounds from infections. Benzoin is a perfume fixative and has addictive scent. of sweet, vanilla, resinous, balsamic, powdery, milky, and spicy which is soothe, stimulate, comfort, and warm individuals especially when they are exhausted or feeling a little down. It is associated with Prosperity and mental powers. Because benzoin is very rich in aroma, it is also extensively used as deodorant for rooms and body. Its medicinal sweetness fills the rooms with nice aroma and drives away odor. Mixed with bathing water and massage oils or otherwise, if applied on body, it kills germs that causing the body odor. This property comes from the presence of derivatives of Benzene ring in Benzoin Oil. Actually benzene is a cyclic hydrocarbon and like all other cyclic organic comp ounds, is aromatic in nature. When employed esoterically, benzoin is generally burnt as a purifying incense. This practice is prevalent throughout both Eastern and Western magickal practice, and is especially common in Islam, Orthodox Christianity, Zen Buddhism, Tibetan Buddhism, and Shinto religions. Benzoin is used often for de-hexing and blessing, although it some New Age magicians employ it for charging items of power. New Age correspondences usually attribute peace-promoting properties to benzoin resin, and burn it both to drive away negativity, soothe anger, and enhance concentration. Since ancient times, benzoin has been considered a protective incense against all types of malignancy, especially when combined with other precious incense resins (i. e. frankincense, myrrh, copal, dragon's blood). Burning benzoin incense prior to astral travel is said to protect oneself from evil entities that may be encountered during travel and that generally drives away any spirits that may attempt to possess the body while in such a state. Chinese magicians believe that burning benzoin resin (in their case, generally in the form of incense sticks) can enhance one's luck and increase the profitability of a business. If ingested, benzoin can cause stomach inflammation or digestive tract bleeding. Don't inhale benzoin if you have asthma. Know that benzoin is poisonous if taken internally. Avoid benzoin if you have a history of allergic reactions, asthma, or skin irritation. Be aware that topical benzoin use can discolor the skin and cause skin irritation. Know that inhaling the volatile steam of benzoin isn't effective. Consider using un­ medicated water vapor instead.